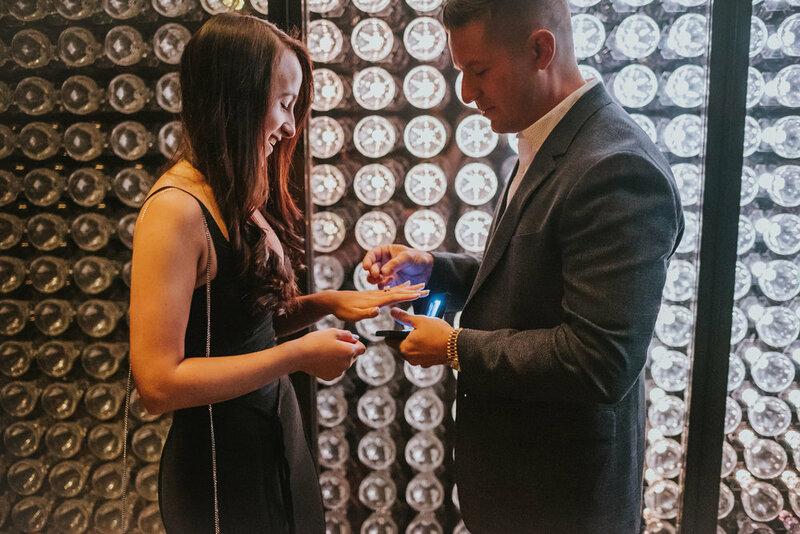 When John reached out saying he wanted to propose to Samantha at the Baccarat Hotel, I got so excited! The Baccarat is an absolutely gorgeous luxury hotel and I've actually worked there before for an elopement. We began planning and decided he would propose right in front of their LED light wall. When the day finally arrived, John had told Samantha that they were going to head to a nice dinner. While on their way "out" through the lounge, he stopped right in front of the wall and popped the question! Samantha was in shock and crazy happy all at once, and she said yes! After the proposal, we stopped by a few different spots throughout the hotel for photos. It was an absolutely gorgeous moment and a pleasure working with them. Congrats John and Samantha!